Mahendra Singh Dhoni was back at his 'spiritual home' Chennai Super Kings while Royal Challengers Bangalore retained India captain Virat Kohli during the much-publicised yet predictable Indian Premier League retentions here this evening. "It was a great opportunity to retain some players. We want to pick impact players who can take the team forward. Warner and Bhuvaneshwar are impact players and impact is the right word for SRH," team mentor VVS Laxman said after the retention process got over. 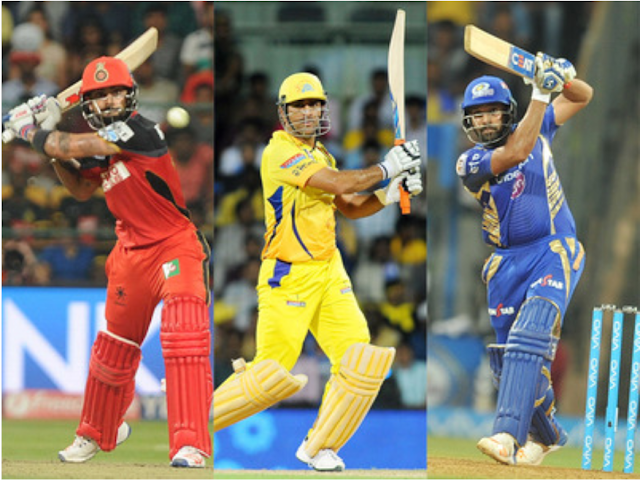 The franchises that have gone for full three retentions are CSK, Mumbai Indians, Delhi Daredevils and RCB. However, for Virat Kohli, the retention was Rs 17 crore, which incidentally is his league fee. A single player retention had a deduction of Rs 12.5 crore. Defending champions Mumbai Indians in all likelihood will be retaining skipper Rohit Sharma along with Pandya brothers, Hardik and Krunal, while under-performing Delhi Daredevils may keep Rishabh Pant and Shreyas Iyer in their stable ahead of the IPL auction on January 27. While the last date of submission for the player retention is January 4, the franchises are more or less certain about the kind of players they would like to retain and the ones they would buy back with Right To Match (RTM) cards. It is learnt that it is a strategic decision to retain Krunal as this will enable the franchise to buy back Kieron Pollard and Jasprit Bumrah with the 'Right To Match' cards. It is learnt that Delhi is still undecided about having two or three retentions but Pant and Iyer being India players are certain to be retained. Steve Smith is expected to be retained by Rajasthan Royals after having spent two years at the Rising Pune Supergiants. The Chennai Super Kings are set to retain three of their marquee players — skipper Mahendra Singh Dhoni, IPL superstar Suresh Raina and all-rounder Ravindra Jadeja while Dwayne Bravo, if fit, is all but certain to be brought back with Right To Match card. David Warner looks certain to be retained by the Sunrisers Hyderabad who can also retain the immensely talented Deepak Hooda by paying Rs 3 crore for the uncapped player just like MI will be doing for Krunal. The maximum number of players that each team can opt for is five through Player Retention (Pre-Player Auction) and Right to Match (RTM) which will take place during the Player Auction. There can be a maximum of either three retentions or three RTMs and if there is no retention before the player auction, then franchises can have up to three RTMs. is retained for the #IPL2018! We have retained our deadly duo 🔥, David Warner and Bhuvneshwar Kumar!